After greetings and introductions, these were Hashem’s first words to us. I had recently arrived in Hebron from the UK, via Jerusalem, to spend my first few days getting to know my work as a Human Rights Observer (or Ecumenical Accompanier/ EA). He stands with us, a small group of EAs from different countries, in the shade at the top of Shuhada Street in Hebron. Hashem is Palestinian, a Hebronite, born and raised here. He takes out a small video camera and shows us footage of what he has described. The Israeli settlers who are his neighbours accused Khaled, his 5 year old son, of throwing stones at them. Israeli soldiers then turned up at the home of Hashem and his wife Nisreen, wanting to investigate Khaled. This came a few short weeks after the detention of another 5 year old boy, Wadi’a Maswadeh, by the Israeli authorities in Hebron, an act which contravenes the Convention on the Rights of the Child. Hashem tells us that he showed the soldiers Khaled, who was playing on his computer, and told them that he had not been throwing stones. He told them that his settler neighbours often make up stories like this and that anyway, the army was not allowed to arrest children, and on no account would they be taking his son. The soldiers said that this visit should be taken as a warning but if it happened again then they would be back to take Khaled, and then Hashem would have to pay for his son’s release. This situation will be inconceivable to many of you. Imagine a hostile army turning up at your door to take away your child. But in the three days spent in Hebron in my first week here in Palestine-Israel as an EA, I discovered that it was one of many disturbing incidents that are a regular feature of life for Palestinians in occupied Hebron. Hebron is a city of two halves. Literally. On one side is a bustling Palestinian city – the biggest in the West Bank. It is run by the Palestinian Authority and has many restaurants, cafes, shops, supermarkets and a shopping centre, as you would except in any other city. It has a fruit and vegetable market and a souk in the Old City. This part of Hebron was designated as H1 under the Oslo Accords of the failed 1990s peace process. Then, as you walk towards a portacabin that blocks off a street in the city centre, you notice there are fewer and fewer people, there is anti-Israel graffiti and fewer shops open. The portacabin is actually Checkpoint 56. Walking through that checkpoint in like stepping into another world, like some kind of perverse Alice Through the Looking-Glass. On the other side are young Israeli soldiers with large guns who check your ID. This is an area of Palestinian territory that is occupied and controlled by Israel. It was designated as H2 under the Oslo Accords. From Checkpoint 56 you step out into the top of Shuhada Street, which is where we meet Hashem. 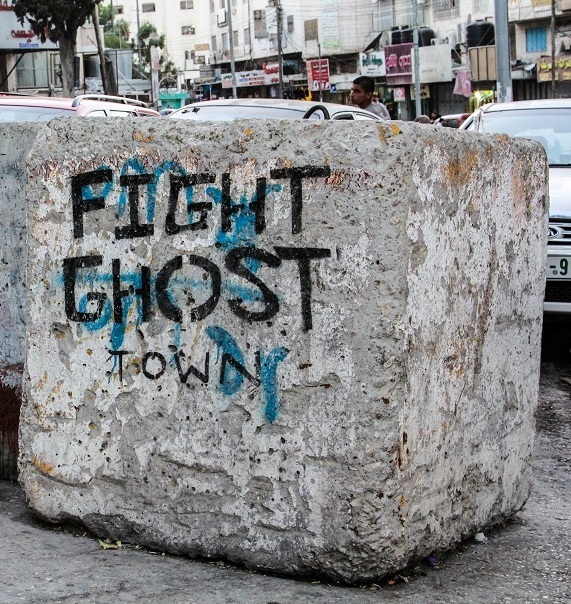 Shuhada Street has become famously symbolic of the ghost town that is now H2. The area is all but deserted. It used to be the heart of commercial Hebron, filled with shops, homes, the main market, and people going about their business. 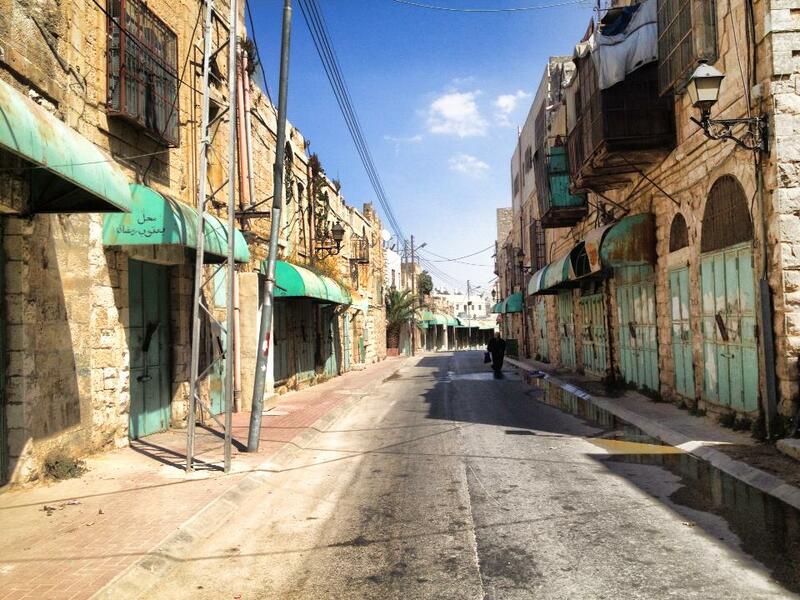 In 2000, Shuhada Street was closed to Palestinians. Over 1800 businesses have since closed, according to Israeli human right organisation B’TSelem. Now, over 1000 homes stand empty and abandoned. The Israeli army has sealed many of the shops and homes – if people still live there, they often cannot use their front doors. A series of roadblocks, walls and military checkpoints separate H1 and H2, ensuring that only the small group of around 500 Israeli settlers who live there can go about their lives as they please (more on the settlers in future blogs). The Israeli settlers and army can drive and walk anywhere they like. The Palestinians cannot. It’s that simple. My international passport means that I can walk down Shuhada Street but Hashem and Nisreen, whose hometown this is, cannot. They each have a permit to get to their own home. They are forbidden from driving a car to it. Hashem is also forbidden from crossing into H1, now the heart of Palestinian life in Hebron. Hashem, Nisreen and their family live in their home in H2, which is right next to some Israeli settlers on a hill called Tel Rumeida. Hashem walks us up the hill towards his home. At the end of his street are two more Israeli soldiers. By this point, four young Belgian tourists have joined our little group, and I have my first experience of the way that the soldiers appear to make it up as they go along. Hashem tells them that he is taking the group of about eight of us internationals to his home for tea. No, they tell him, only he can go and the rest of us cannot. We challenge this and ask for evidence. They backtrack and eventually call their commander. They then decide to check our passports and want to see our visas. One of the Belgian tourists does not have a visa. This is because his father is Palestinian, so he has a green Palestinian ID card to go along with his Belgian passport. Ah, the soldiers tell him, you are a Palestinian. You cannot walk down this street. Everyone else can go, except you. The Belgian/ Palestinian is perplexed and angry – we all are. The soldiers call their commander who shows up (he can be no more than 23 years of age) to confirm their decision. So, we go on to Hashem and Nisreen’s house without him. Another day, we (the other Hebron-based EAs and I) are having tea with some of the Palestinian shopkeepers by the Ibrahimi Mosque/ Tomb of the Patriarchs and Matriarchs when we notice two young Palestinian men crouched in the shade next to the nearby checkpoint. 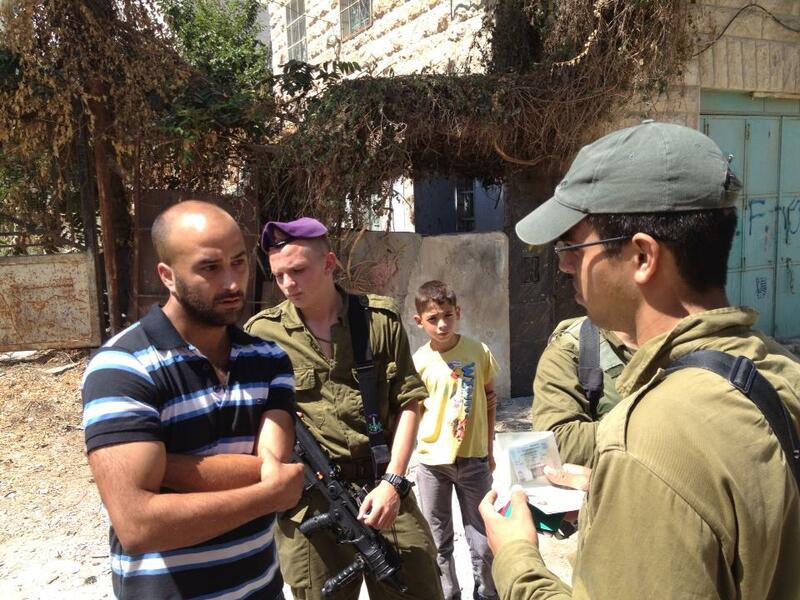 My colleague and I go over to ask one of the two Israeli soldiers what is going on. “ID check” comes the reply from a young soldier who can be no more than 19 years old, “We need to check if they are bad people.” We ask how long this will take, “3 hours” comes the response. We laugh, incredulous, “You can’t be serious” we tell the soldier, “You know that the longest you can detain someone is 20 minutes or else it’s an arrest.” The young soldier looks confused. “I am new” he says to us, “and this is what I was told.” He goes to ask his soldier colleague inside the checkpoint but the other soldier refuses to engage with us. We retreat a bit to watch from a distance. Shortly after this, the soldiers let the young men continue on their way. In the following days, I see this kind of situation repeated many times – frequent, random ID checks on ordinary people going about their day-to-day lives seem to be standard practice in the parallel universe that is the ghost town. I am surprised that the soldier seems to have no idea about the law. Later, when I am back in Jerusalem for training, I ask Avner about this. Avner is 28 years old and a veteran soldier who works for Breaking the Silence, a fantastic organisation of former Israeli soldiers who “have taken it upon themselves to expose the Israeli public to the reality of everyday life” in the occupied Palestinian territory. I ask Avner whether the soldiers are taught about the law during their training. He tells me that they are taught nothing about any kind of law. Instead of the law, the soldiers are taught to carry out their orders. Typically in Hebron, this includes orders to “instill a sense of fear in Palestinians”, to “make your presence felt” and to “disrupt the day-to-day lives of Palestinians”. Like the child detention, much of what goes on in Hebron is illegal under international law. Under international human rights law, namely Article 13 of the Universal Declaration of Human Rights and Article 12 of the International Covenant on Civil and Political Rights, Israel is required to respect the right of residents of the occupied Palestinian territory to move about freely. As the occupier, international humanitarian law also requires Israel to ensure the safety and wellbeing of the local residents and to maintain, to the extent possible, normal living conditions. After these first three days in Hebron, I travel back to Jerusalem for more training sessions with EAPPI. When I get there I have the space to think more deeply about what I have seen in Hebron in the last week. In my first blog post I described that on previous visits to Hebron I had found it to be the strangest place I had ever been; I was not wrong. I try to understand the things that I have seen. How does it make sense to treat the Palestinians this way? Whose interests does this situation serve? What are the Israeli authorities hoping to achieve? These words have stayed with me. They were spoken by a resident of Sussiya in the South Hebron Hills, deep inside the West Bank, when I met him and his family on a visit to Israel and the occupied Palestinian territory in January 2011. His family was living in a tent because the Israeli authorities had destroyed his home. On that occasion I was travelling with my then employer, international development agency Christian Aid. Two and a half years on, I am about to travel back to the region to spend 3 months working as a Human Rights Observer in an international team with the Ecumenical Accompaniment Programme in Palestine and Israel (EAPPI). EAPPI is a program of the World Council of Churches, supported in the UK by international development charities including Christian Aid and CAFOD, and administered by the Quakers. It was founded in 2002 in response to a request from the Heads of Churches in Jerusalem. The programme is the biggest presence of internationals working for human rights in the occupied Palestinian territory. It has two aims: to help end the occupation, and to advocate for a just peace based on international law. I’m taking a secondment from my job as Head of Advocacy at international poverty charity ActionAid UK, where I spent the first 6 months of this year working to influence the G8 to deliver action to tackle tax dodging, a problem which costs poor countries more than they receive in aid every year. This involved numerous meetings with politicians and civil servants in Westminster: in Parliament, the Treasury and at 10 Downing Street; and media work: I appeared on TV, on the radio and in newspapers to publicise our message. 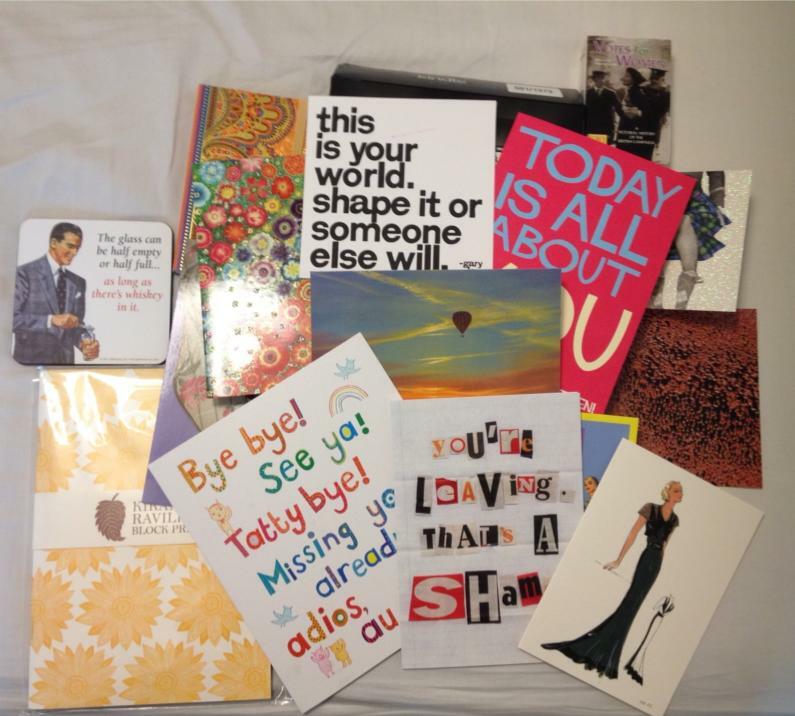 The next few months are going to be very different. I’m being posted to Hebron, which is the biggest city in the West Bank, and is a place of particular tension and division in the long, tragic conflict between the Israelis and the Palestinians. It is occupied by 1500 Israeli soldiers who are primarily there to protect the 500 Israeli settlers who hold strong religious views and sometimes use violence to uphold them. I have visited Hebron twice before, just for a few hours, and found it to be the strangest place I have ever been. I will be living there in an apartment with three other people from different countries, none of whom I have ever met. We will work together to provide a ‘protective presence’ and to monitor and report on human rights abuses. The idea – which has been found useful in a number of conflicts across the world – is that the presence of internationals, armed with nothing more than a notebook and a camera, helps ordinary people to feel safer and know that they are not alone. It can reduce the propensity for human rights abuses to occur because perpetrators are less willing to act when someone is recording what they do and telling the outside world about it. In Hebron, our work is likely to include accompanying Palestinian children experiencing harassment and intimidation from Israeli settlers to school; monitoring the length of time it takes Palestinian workers to cross military checkpoints; accompanying Palestinian farmers at risk of violence from Israeli settlers as they harvest their olives; and supporting the non-violent activities of Israelis and Palestinians working together jointly for peace and human rights. So: what is my motivation for doing this? Life in the UK is pretty comfortable and I love my regular job with ActionAid. My first two visits to Israel-Palestine were on delegations which introduced the region and the many issues in the conflict from a Jewish/ Israeli perspective. The first trip was about 10 years ago. It was fascinating – we met Israeli politicians, academics and discussed a huge range of issues. We went to Jerusalem, Jaffa, Tel Aviv and visited Yad Vashem, the Holocaust memorial. We talked about the fear that ordinary Israelis felt about suicide bombings. We met Israelis and Palestinians who had lost loved ones in the conflict and were working across the divide with the Parents Circle, a fantastic organisation. On my second visit we went to Haifa and also to Ramallah, and met some Palestinian politicians and NGOs. But on both trips, the overwhelming majority of what we saw and heard was, unsurprisingly, from only one perspective. I was very aware of this and so, on my third visit (for a Jewish friend’s wedding at a kibbutz), I made sure that I educated myself about the Palestinian perspective. I visited Bethlehem and walked through the massive military checkpoint there, rather than cruising through on a coach as most tourists do. I went back to Ramallah, and I spent time in East Jerusalem (the largely Palestinian part of this divided city except for the increasing numbers of Israelis who live in settlements there). I met an old Palestinian woman sitting in a tent in the garden of her home in Sheikh Jarrah, surrounded by her cooker, her fridge and all of her possessions. Inside her empty home was an armed private Israeli security guard, employed by the Israeli settlers who had evicted the old woman from her home. An Israeli police car sat out in the street, clearly finding nothing that they should intervene in. The settlers, who had also taken over the house across the street, shouted some abuse at us as we left. They had American accents. When I later went to work for Christian Aid, I travelled to Israel-Palestine twice more. I met inspiring Israelis working for human rights and peace in organisations like B’TSelem, Breaking the Silence, the Association for Civil Rights in Israel, and Ta’ayush. I travelled across the West Bank to Nablus, Jericho, the Jordan Valley, Jayyous, Jenin, the South Hebron Hills – and Hebron itself. I have never seen parents actively encourage their children to be violent before but this is what we witnessed in Hebron with some Israeli settlers encouraging their children to come and kick our guide from Breaking the Silence; an Orthodox Jew who had served in the Israeli army in Hebron and was telling us what he used to do there. I learnt much more about the other perspective in the conflict, that of the Palestinians, and came away feeling that I now had a much more balanced sense of things and a reasonable understanding of the viewpoints and arguments of each ‘side’. On my last two visits we also met some Human Rights Observers – or Ecumenical Accompaniers (EAs) as they are known – from Europe, who were serving with EAPPI. At 6am they were monitoring the amount of time it took Palestinian workers to cross the enormous Bethlehem checkpoint to the jobs in Palestinian East Jerusalem and Israel. Literally hundreds of older men (it is practically impossible for young Palestinian men to get work permits) were crammed into metal pens to have their details checked by teenage Israeli soldiers. I had never witnessed people be treated in such a degrading manner. I was intensely interested in the work of the EAs and how they came to be there. My experiences left me with a deep sense of the injustice of the conflict, and of the poverty and suffering in much of the West Bank. The man in a tent in Sussiya, the old lady in her garden in Sheikh Jarrah and the Hebron settler children attacking a fellow Israeli were not things I could easily forget. So that is how it came to be that I will shortly fly there to work for 3 months. There is so much bluster and debate about the issues in Israel-Palestine that I decided it was time to do something more useful than argue about it in the pub. Whatever the situation, I have never believed that we should walk by on the other side – if we can do something to help, then we should. The time I will spend there is my way of making a tiny contribution. I feel excited and apprehensive about arriving and starting work. That place is never dull but it will be especially interesting when John Kerry’s efforts to re-energise the peace deal are ongoing. Let us hope and pray that he succeeds. In the meantime, if my efforts mean that a few children can get to school safely and more easily, then my forthcoming adventure will have been worth it.